TOKYO - Nikon Corporation is pleased to announce the release of two new COOLPIX L-series cameras, which are developed for ease of use and equipped with functions that make these digital cameras fun to use. 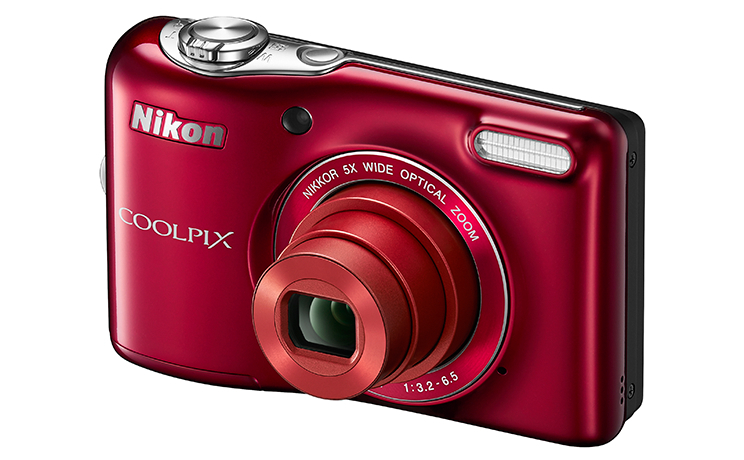 The COOLPIX L32 makes shooting simple and processing images enjoyable, and the COOLPIX L31 offers simple operation that can be quickly mastered by even those new to digital cameras. The L32 is a model that offers simple operation and superior image quality with an effective pixel count of 20.1-million pixels* and a 5x optical zoom NIKKOR lens that covers a broad range of focal lengths, from the wide-angle 26mm to the telephoto 130mm (equivalent angles of view in 35mm  format). The 3-inch, approximately 230k-dot TFT LCD monitor with anti-reflection coating built into the camera ensures clear viewing with both shooting and image playback. In addition, the camera is equipped with a Glamour Retouch function (offering 8 effects) that allows users to create memorable portraits with the addition of a variety of effects to the faces of human subjects after photos are taken. The L31 is a model that enables reliable, worry-free automatic shooting. It offers an effective pixel count of 16.1-million pixels*, and is equipped with a 5x optical zoom NIKKOR lens that covers a broad range of focal lengths, from the wide-angle 26mm to the telephoto 130mm (equivalent angles of view in 35mm  format). Both the L32 and L31 make photographic expression, as intended, easy and enjoyable with adoption of Scene Auto Selector mode, with which the camera automatically chooses the optimal scene mode when the camera is simply pointed at the intended subject, as well as Special Effects mode and Quick Effects, which make enhancing images easy. What's more, the cameras are powered by readily available AA batteries, a common feature of L-series cameras. This means that users need not worry about whether or not batteries are charged, and can easily replace exhausted batteries. *May be reduced by image processing. The cameras are equipped with a high pixel count CCD sensor and a 5x optical zoom NIKKOR lens that covers a broad range of focal lengths, from the wide-angle 26mm to the telephoto 130mm (equivalent angles of view in 35mm  format). By simply pointing the camera at the intended subject, the camera identifies characteristics of the scene, such as distance to the primary subject, and brightness, and then automatically applies the optimal scene mode. This means that even those who are not confident in their ability to operate the camera can reliably capture beautiful photos of most scenes and subjects without adjusting camera settings. Applied with shooting, images with which characteristics such as hue or contrast are modified can be captured. The selected effect is reflected in the monitor display, allowing users to shoot while previewing a simulation of expected results. Quick Effects enables editing of images in just three simple steps: shoot, apply, and save. Users can enjoy photographic expression as intended by editing images while previewing effects in the preview display. The cameras can be powered by AA batteries that are easily replaced when away from home, as when on vacation. They can also be powered by AA rechargeable EN-MH2 Ni-MH batteries (available separately) that can be used over and over. COOLPIX L32: Approximately 320 shots are possible when alkaline batteries are used, approximately 570 shots are possible when EN-MH2 batteries are used, and approximately 950* shots are possible when lithium batteries are used. 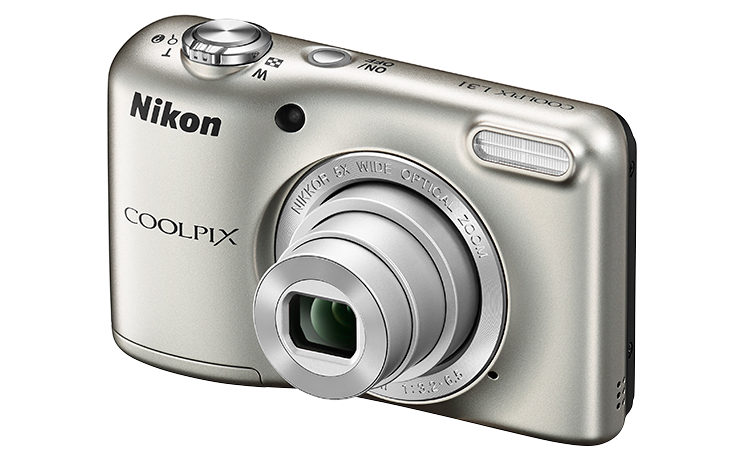 COOLPIX L31: Approximately 200 shots are possible when alkaline batteries are used, approximately 500 shots are possible when EN-MH2 batteries are used, and approximately 750 shots* are possible when lithium batteries are used. *When AA Energizer lithium batteries are used. A smooth, curved form and subdued body colors achieve an elegant appearance. The slightly rounded grip not only accents design, but makes the cameras easier to hold for a stable grip that effectively suppresses blur caused by camera movement during shooting. The L32 has an especially integrated appearance as the aluminum lens ring and lens barrel are the same color as the camera body. Users can create memorable portraits with the addition of a variety of effects to the faces of human subjects after photos are taken. The L32 offers a total of 8 effects: Skin Softening, Small Face, Big Eyes, Brighten Faces, Hide Eye Bags, Whiten Eyes, Whiten Teeth, Redden Cheeks (Redden Cheeks selection from oranges, reds, bluish pinks, and yellowish pinks). The degree to which each effect is applied can also be adjusted. *Except where noted, all specifications provided apply to use at an ambient temperature of 23°C (± 3°C) with new AA alkaline batteries, in accordance with Camera & Imaging Products Association (CIPA) standards. **The maximum number of shots possible (battery life) may vary depending upon a number of conditions, including the interval between shots, the length of time that menus are displayed, and whether or not, and for how long, images are played back.